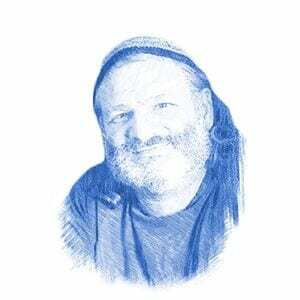 Kabbalist: New High-Speed Train Necessary For Third Temple - Breaking Israel News | Latest News. Biblical Perspective. The new high-speed train nearing completion connecting Israel’s recently upgraded international airport directly to the Temple Mount is expected to be complete just in time for Passover, which one mystic sees as fitting since so many esoteric hints indicate the road to the Third Temple will be paved with train tracks. Fish sees this pre-Messiah train phenomenon being played out to an even stronger degree with the new high-speed track that will bring travelers directly from Ben Gurion International Airport to the Western Wall in Jerusalem. The train is expected to begin service in April, just in time for the Passover holiday. Fish explained that a train has special characteristics that make it the most fitting means of transport for pilgrimage. “Practically, a train is the best means since it can carry many more people without the dangers or traffic jams associated with highways,” Fish said. Being a student of Kabbalah, though, his practical explanations had esoteric sources. Fish brought additional reasons for the special connection between trains and the Messiah. “In Gematria (Hebrew numerology), ‘rakevet’ equals 622, precisely the same as ‘har HaBayit’ (the Temple Mount)”,” Fish said. Fish is not alone in this vision of a Temple train. Rabbi Matityahu Glazerson, an expert in Bible codes, found a hint to this in the 17th chapter of Genesis. Rabbi Glazerson did a search with gap of 70 between letters since Israel recently celebrated its 70th anniversary. In close proximity, he found the words Tel aviv, Jerusalem, ‘rakevet’ (train), and the Hebrew letters designating this year, 5778. Though the high-speed train will significantly improve access to the Temple Mount, Fried sees that as just a part of the practical effort required to prepare for an actual Temple. Fried’s statement is accurate. Interest in Jerusalem is growing and last year set a new record for tourism with over four million visitors to the city. The government recognizes the lack of accommodations and in 2016 instituted a plan to add 27,000 more hotel rooms to Jerusalem by 2026. But Fried is not only concerned with housing people.